Chinese television company TCL Corp is ready to throw its hat into the home console arena. But is the Chinese government ready? The company, which is based is in Guangdong, said it plans to release its first home console in China later this year. China Daily reports that the company said it will release a console like the Xbox. China Daily did not specify if the company meant "Xbox One" or not. I don't think that means the company will release an Xbox clone, but rather, it will release a console of comparable specs. 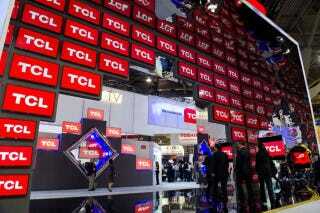 According to China Daily, TCL is eager to enter new markets because the Chinese government ceased supporting household appliances during the middle of last year. You might remember TCL did a cross promotion in China for Iron Man 3 and one of its TVs was apparently featured in the film. You might not. The Chinese government is taking steps towards allowing the sale of video game consoles, which were previously banned. However, it's still not exactly clear how they will be regulated and sold.